India is bypassing China in terms of economic growth and, in the coming years, its advantage will continue growing, believe Russian experts. 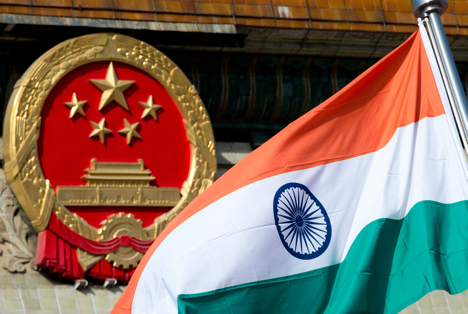 India has already overtaken China in terms of economic growth in the fiscal year that ends on March 31, says analyst of VTB 24 bank Oleg Dushin. He estimates India's growth this fiscal at 7.4%. “This is more than the 7% that China struggles to maintain,” Dushin told RIR. If growth forecasts for the next year on the Indian GDP rising to 8.1-8.5% are correct, the gap can only increase. Dushin links India's success to three factors. The first is the devaluation of the rupee, which has made the economy more competitive. The second is the drop in oil prices. Since India imports 80% of its oil requirements, cheaper energy has a positive impact on the economy. And finally, a reformist government assumed office in India last year, which is now implementing reforms to create jobs and attract investments. “The situation in India is such that with its large population, the increasing employment in commodity production has a strong stimulating effect on the development of the country,” Dushin said. “Whereas, in China, the superficial potential for rapid growth has been exhausted, and now the country feels pressure of excess capacity, as well as the allergy to Chinese exports, which has appeared in the world,” he said. Anton Tabah, director of the regional ratings department at Rus-Rating, is convinced that the program of deregulation and economic development, launched by the government of Prime Minister Narendra Modi is likely to bring the maximum dividends in the next 2-3 years. Besides, India has considerable capacity for growth, unlike China. CEO of FOC consulting company Vitaliy Derbedenev pointed out that GDP per capita in India is 4 times lower than in China at face value and 2.5 times lower at purchasing power parity. “So we can talk about a much lower base for growth,” Derbedenev said. “Chinese growth fizzles, because its model is changing and the economy is refocusing from exports to the domestic market. Besides, the Chinese economy is too big to grow at 8% per year through exports,” he told RIR, stressing that India as yet has no such problem. Different population policies also affect the situation. While China seeks to reduce the growth of its population, India does not. India's population is growing three times faster than the population of China, which is bound to make a difference in the dynamics of the GDP of the two countries. “This distinction is enduring,” Derbedenev said. “According to the forecasts, India will overtake China in terms of population as early as in 2028,” he said. However, there are varying estimates on this front in the Russian media. Some analysts see China's future problems linked to its demographic policy, primarily due to the rapid aging of China's population. According to Daria Zhelannova, deputy director of the analytical department of the Alpari company, India's growth potential can be estimated at about 10%. However, in her estimation, a large number of internal problems prevent India from achieving such rates. In particular, these include the bureaucracy, that has created unreasonably high barriers to foreign investment, and education, the quality of which leaves much to be desired. Also, there is a problem in the structure of the economy; industrial production occupies only 17%, while the rest are services. In addition, India spends considerable resources - up to 9% of GDP - on subsidies, primarily energy, food and fertilizers. Another problem is the chronic balance of payments deficit. “Weak figures of payments and trade balance of the country, along with other problems, are putting pressure on the rupee, the rate of which to the dollar has reduced in recent years,” Zhelannova said. Moreover, it's not the case yet to dismiss China as one of the fastest growing economies,” she cautioned. Russia and India are long-term partners, and the experts interviewed by RIR believe that the countries have plenty of opportunities for cooperation. “India may be interested in Russian machine-building quality products, including for power-engineering industry, and defence products, and Russia, in turn, may possibly need some food products and investment in oil production and other industries. This trend of development will allow us to enhance our trade relations,” Dushin opined. Derbedenev believes that both countries should develop on the already successful sectors as areas of cooperation. For Russia, these are arms exports and the nuclear sector, while the key items of Indian exports are food supplies, pharmaceuticals and chemicals.